New Delhi: Xiaomi smartphone started a trend but this time Micromax owned Yu has become a brand to bear the record of sell in minimum time frame as its 10,000 units got sold out within 3 seconds on Amazon India leaving its buyer waitlisted. The Amazon's website also experienced a brief outage. The official twitter handle of the Yu brand tweeted, "Thanks for the response. Yureka was stock out in 3 seconds." The next sale will take place on January 22, Micromax official later said. The Micromax Yureka was made available for purchase on Amazon India at around 14:00 IST and got sold out within 3 seconds. The Yu Yureka has been priced at Rs. 8,999, ($145) and sports some rather impressive specifications at the price. 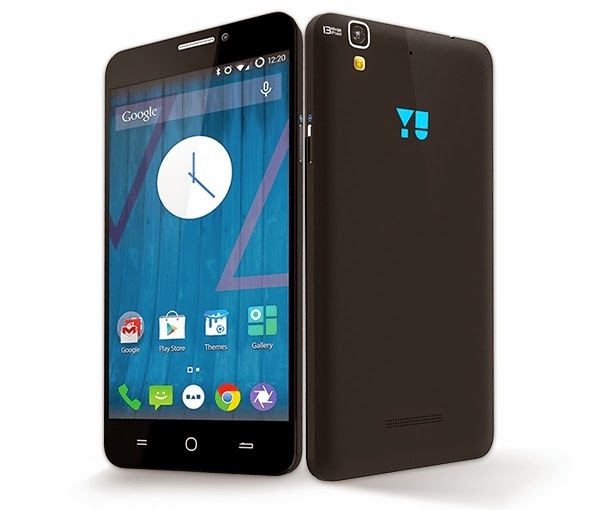 The Yureka is the first phone in Micromax's YU series of smartphones made in collaboration with Cyanogen. The phone is running Cyanogen OS 11 and was source of controversy between Cyanogen, OnePlus, and Micromax in India. The Yureka has a 5.5-inch 720p IPS display, Qualcomm Snapdragon 615 with 64-bit octa-core CPU and Adreno 405 GPU, 2GB RAM, 16GB memory with microSD expansion, 13 megapixel rear camera, 5 megapixel front camera, 2,500mAh battery and Android Cyanogen OS 11 on Android 4.4.4.